We cover a wide range of subjects on this week’s episode of The Buzz. 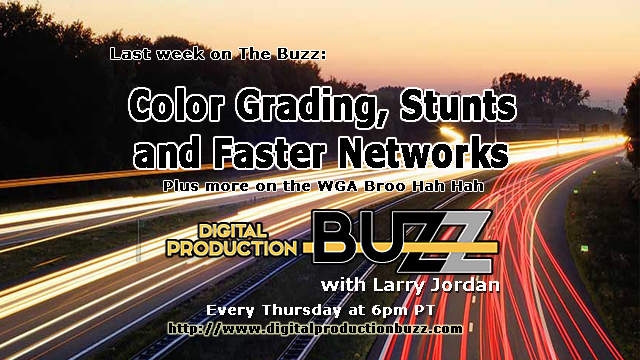 The Writers Guild is upending the entire media industry, DaVinci Resolve provides state-of-the-art collaboration tools for editors and colorists, speeds of wireless networks are getting fast enough to replace a wired connection and an inside look at the insane world of stunts. 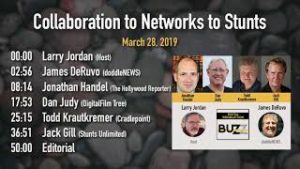 Join host Larry Jordan as he talks with Jonathan Handel, Dan Judy, Todd Krautkremer, Jack Gill and James DeRuvo with the Weekly doddleNEWS Update.